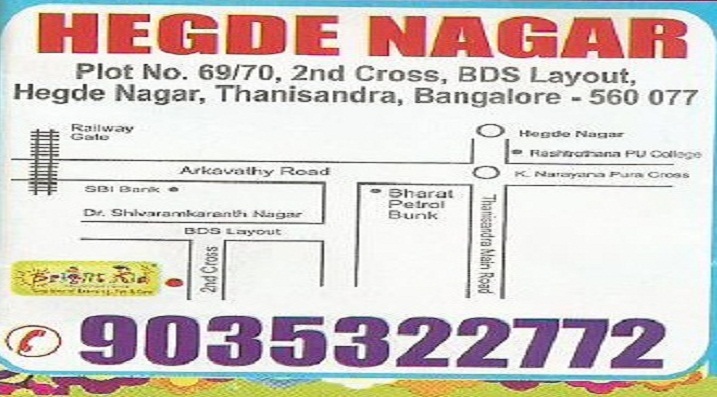 Bright Kid Montessori House is a chain of well reputed and one of the best pre-schools across north Bangalore following international Montessori curriculum for its play school, Nursery, LKG, UKG and Day care programs for children. Today, Bright Kid Montessori House is the largest Montessori House in the geography it operates. Activity based Montessori Method of learning. Large, safe and secured, warm and colorful environment. Best of class over all infrastructure. Deployment of Digital Learning aids and best of Educational Software. Own transportation through GPS monitoring.